Belts are undeniably a powerful style feature that adds to your look and personality. Wooden belts are special and unique for the very fact that these are made of wood. 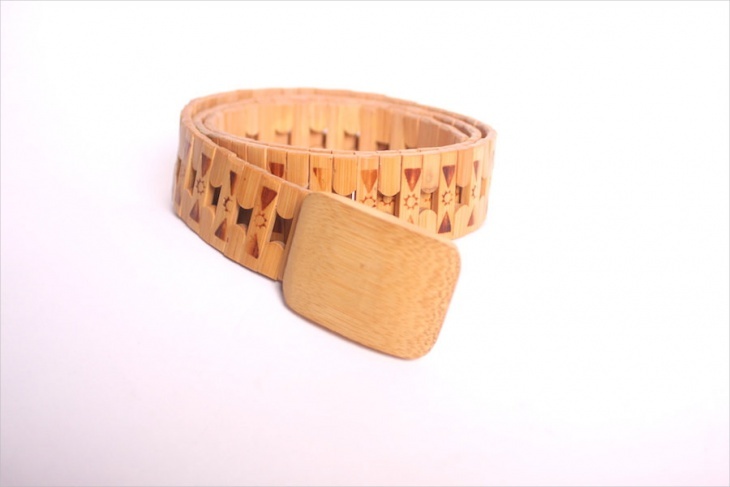 There are various designs of wooden belts to choose from. 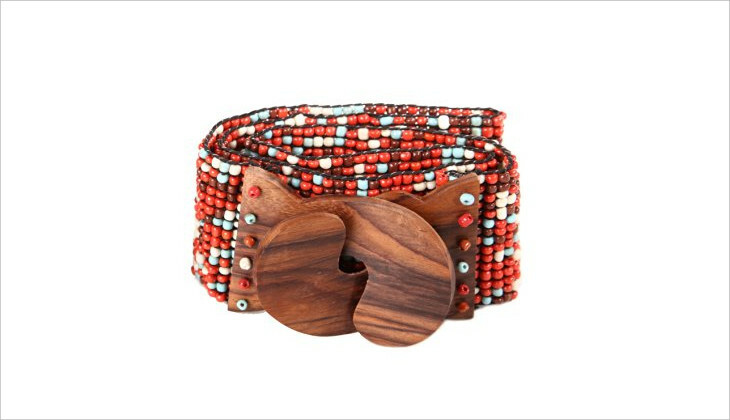 Aztec belts made of wood are quite popular. Vintage belts also make a modern style statement. Some leather belts that come with wooden elements. 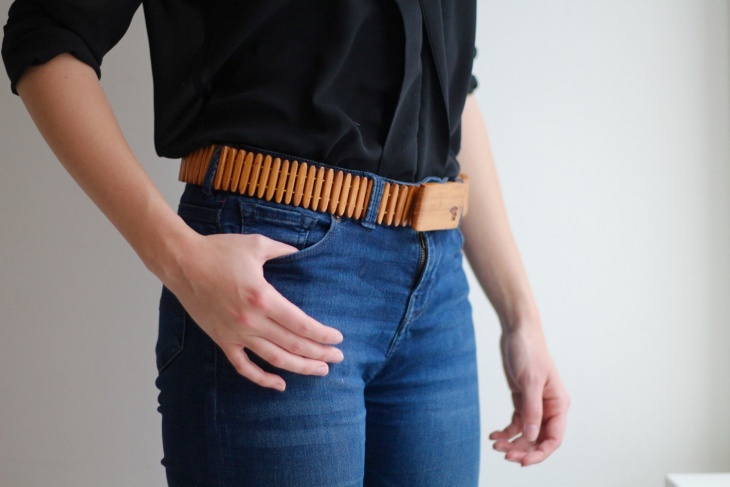 Here are 16 wooden belt designs to give you greater insight. 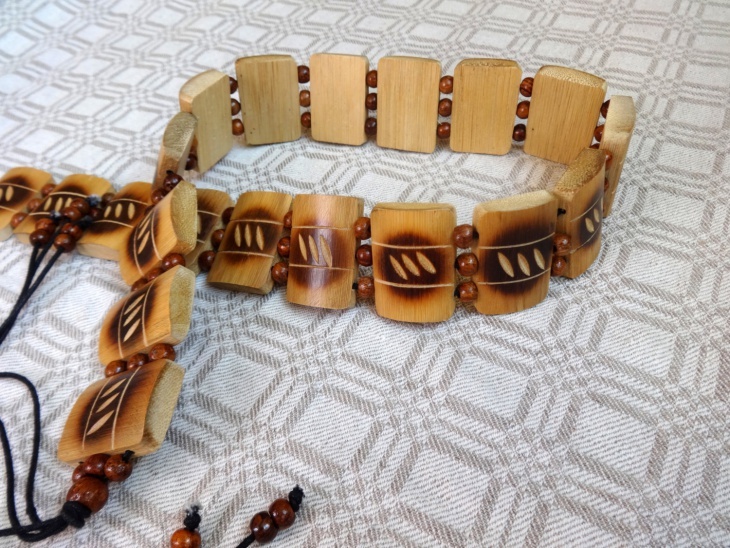 This vintage wooden belt design features burned wooden square shapes and wooden beads. This beautiful vintage belt for women has a length of 61 inches. 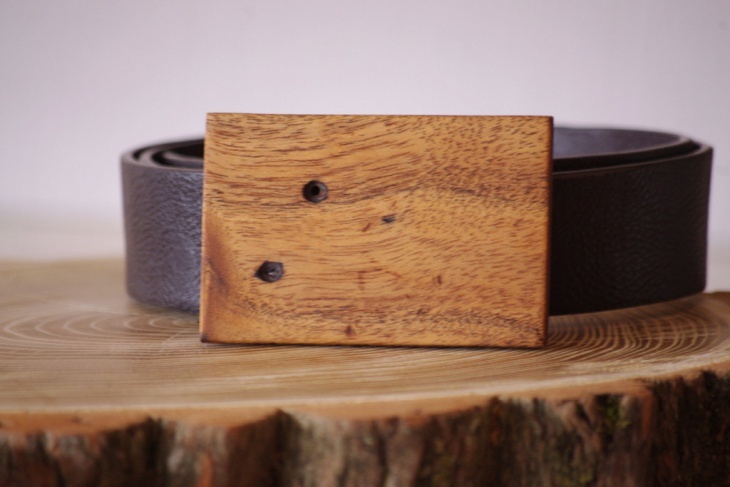 Follow this link to buy this wooden belt. This classic wooden belt features a wooden buckle with an overlapping diamond design on the front and a metallic hook on the rear. The belt fits a size of 40 inches or smaller. Visit the link to find out more. 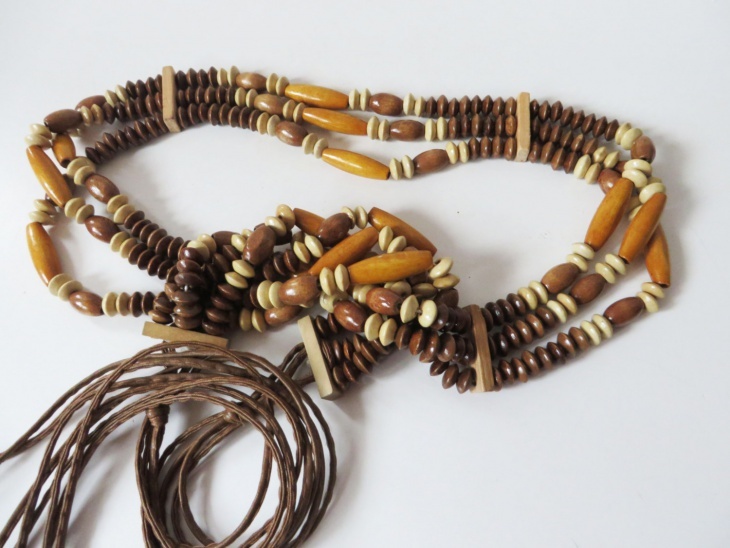 This wooden beaded belt is made of wooden beads and pieces. 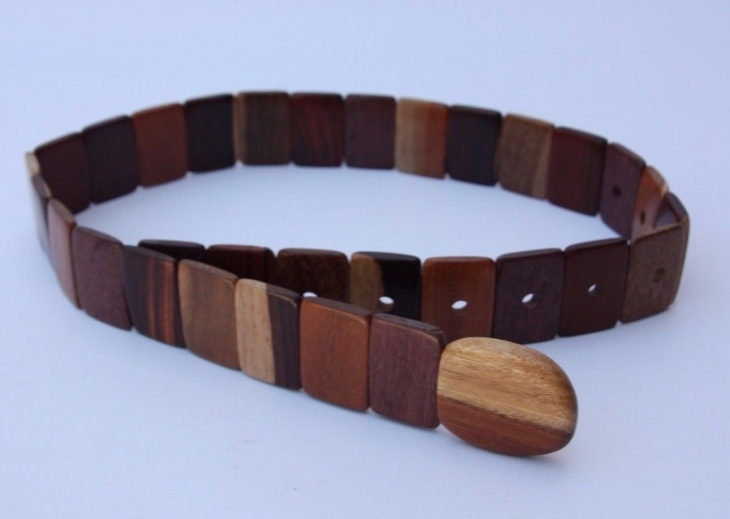 This vintage wooden belt has a beautiful, natural look and makes for a great gift option. Check out this link to get this belt. 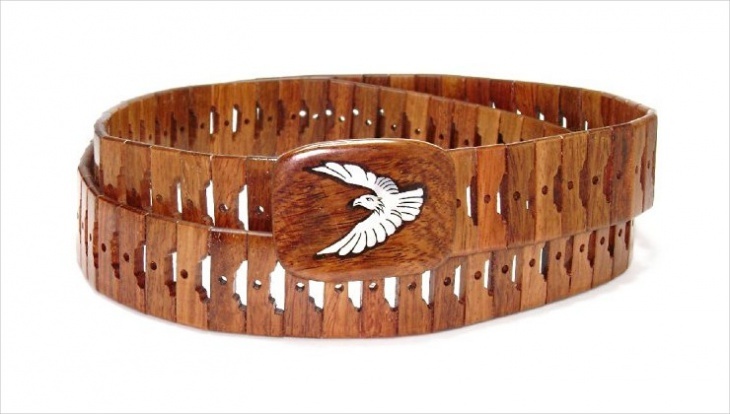 This men’s wooden belt is a fine accessory, featuring a wooden buckle with a flying eagle picture on it. The belt is made of high-quality hardwoods and offers flexibility and durability. Click the link to learn more. 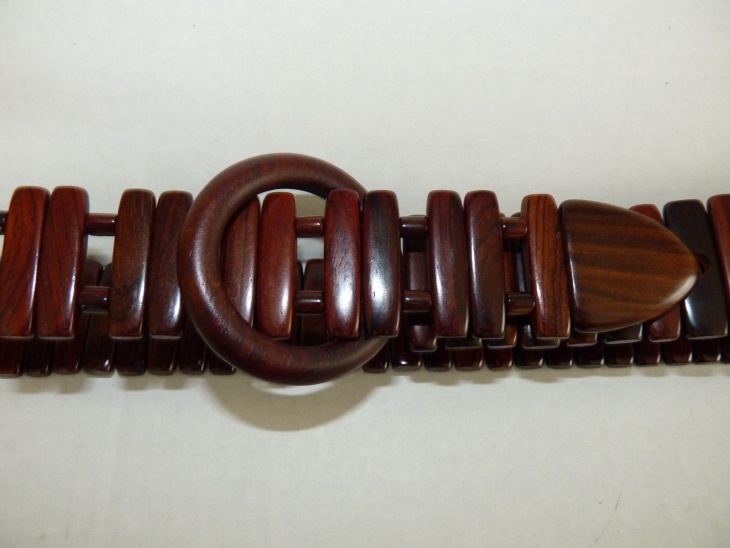 This adjustable wooden belt design has a polished look and is fully adjustable. This classic handmade belt looks stylish and elegant. Follow the link to know more. 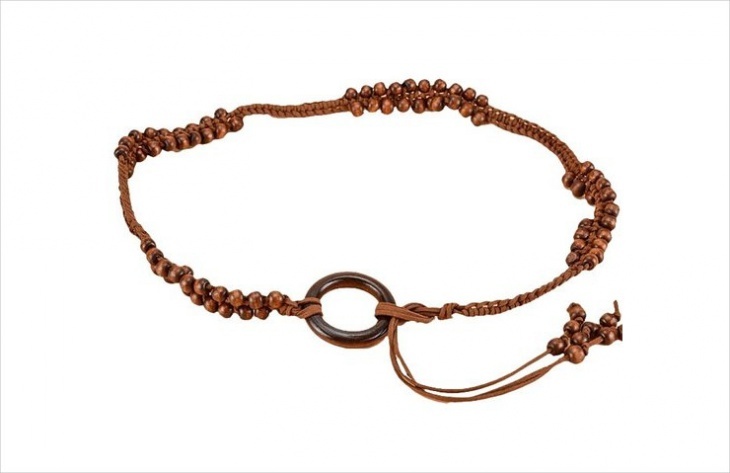 This knotted wooden belt is great to go with dresses, sweaters, and other outfits. 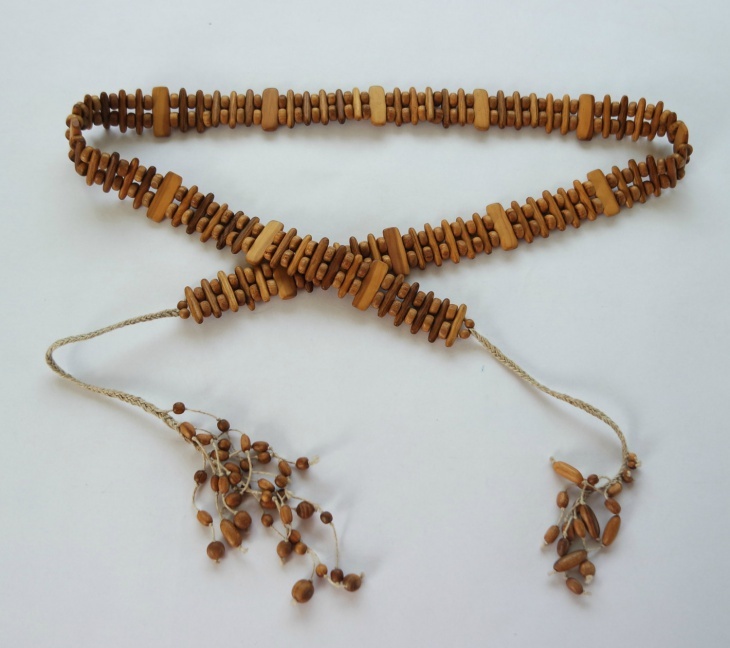 The bohemian style belt, measuring 55.1 inches long, features round wooden buckle and wooden beads. Visit the link to buy the belt. 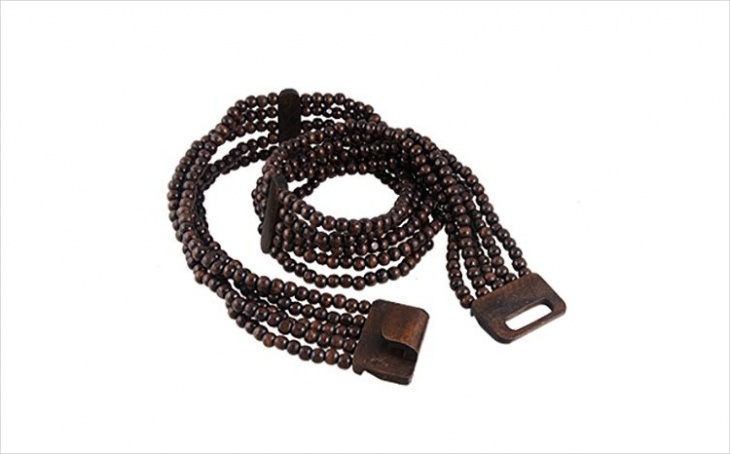 This handcrafted wooden buckle belt is crafted with glass beads that are strung together. The curved wooden buckle includes a slide hook for closure. Click this link to find out more. 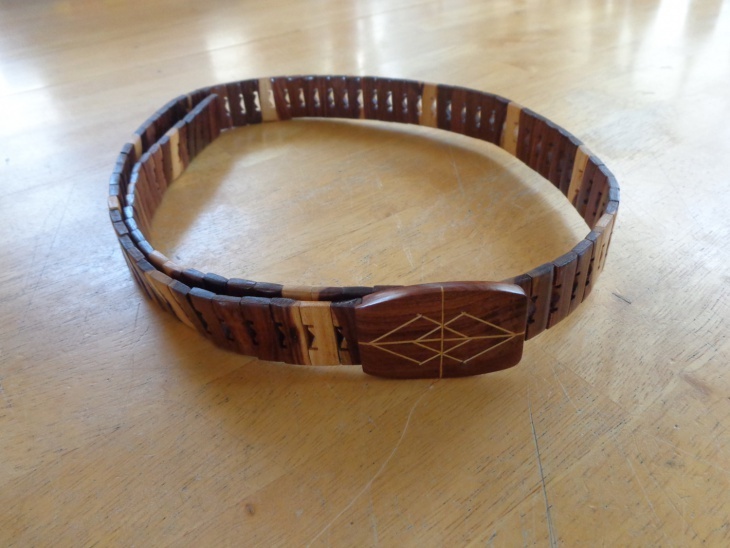 This bamboo wooden belt is made of light bamboo featuring burnt patterns of suns and triangles. 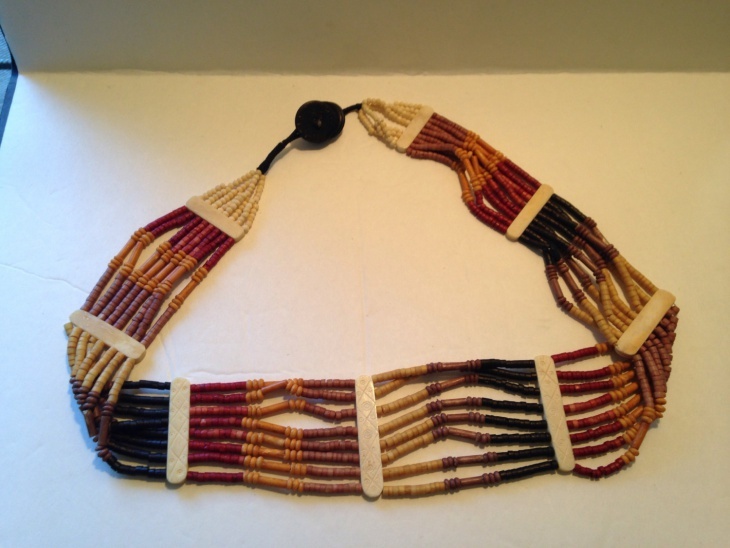 This vintage accessory from the 1980s has a length of 38 inches. Check out this link to get the belt. 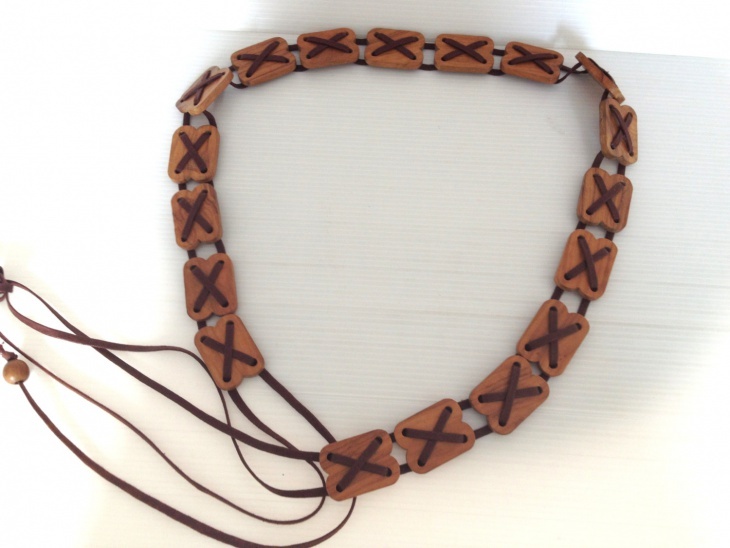 This dark brown, wooden leather belt design is made of leather and natural wood. 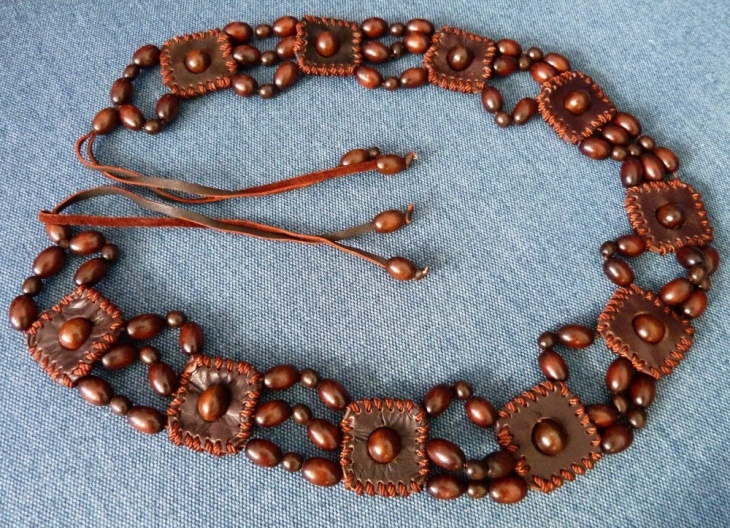 This vintage beaded belt measures 81 cm long. Click this link to find out more. This brown wooden belt idea features wooden rectangle in varying shades of brown. This beautiful accessory fits waist sizes of 22 to 31 inches. Visit the link to proceed to purchase. These were some wooden belt designs that are worthy of a look. Wooden belts bring vintage flavors and stand out from the crowd. You can also go for a rigger belt that is tough and stylish. Crochet belts are also a popular trend for women. Explore and chose your favorite.